Born in Niigata, Japan, Kota Yamazaki was first introduced to butoh under the teaching of Akira Kasai and graduated from Bunka Fashion College with BA in Fashion Design. With the invitation from Germain Acogny to create a work FAGAALA in collaboration with her Senegal-based company, Yamazaki disbanded his Tokyo-based company rosy co., which he led from 1995-2001, and relocated himself to New York. 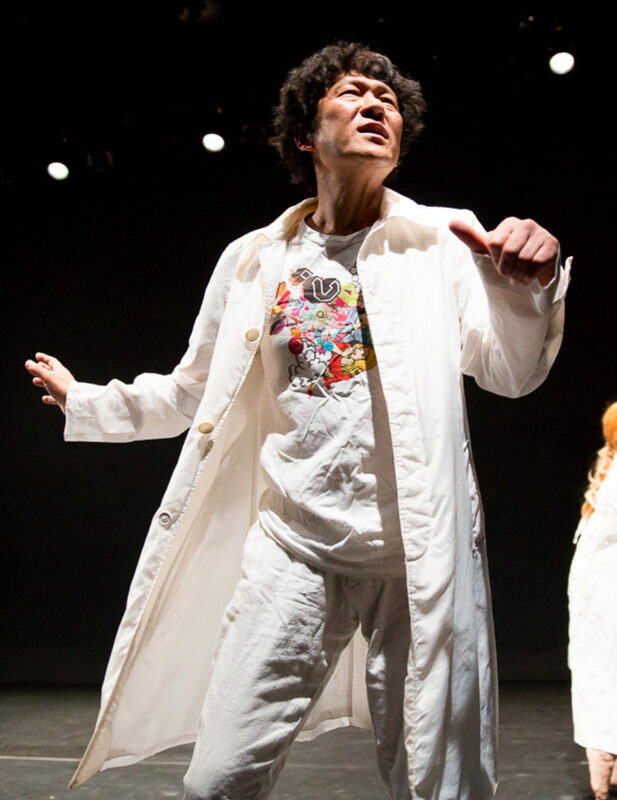 Since 2003, Yamazaki with New York-based Fluid hug-hug has been presenting work at national and international theaters and festivals. Yamazaki is a recipient of a “Bessie” Award in 2007, Foundation for Contemporary Arts Grant award in 2013, and NYFA Fellowship in 2016. Throughout these years, Yamazaki has been teaching at universities and institutions around the world. He has served as Director for Body Arts Laboratory in Tokyo since 2009 and organizes Whenever Wherever Festival.